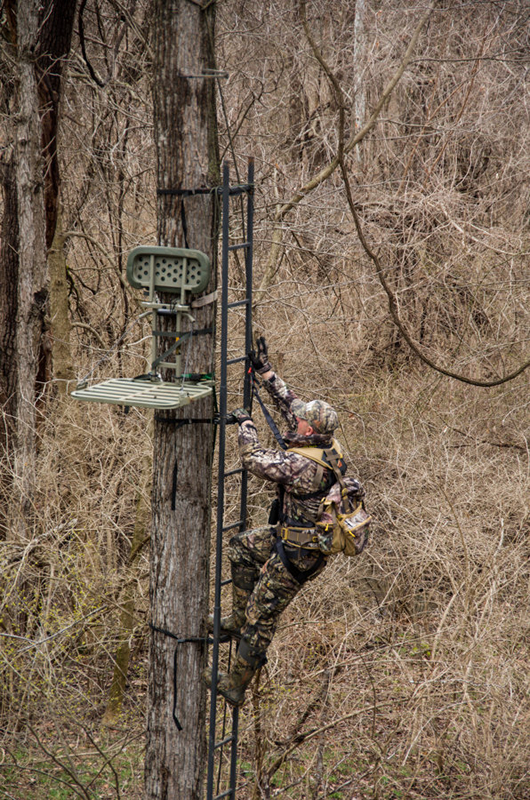 Often times when you move your tree stand, the time of day is just as important as the new location to where you move your tree stand. Once again, you don’t want the buck you’re going to hunt to know you’re in his core area. For this reason, I always move tree stands in the middle of the day when the buck is most likely to be in his bedding region. I like having my tree stands placed several months before I’ll hunt a particular site. However, I have moved a tree stand one day, hunted an older-age-class buck the next day there and taken him. I’ve learned that older-age-class bucks don’t always do what they’re supposed to do, no matter how much time you spend scouting them. As I’ve mentioned earlier, I always hunt with the wind in my face. I bathe in scent-free soap, wash my clothes in an odor-neutralizing detergent and spray down with odor killers. 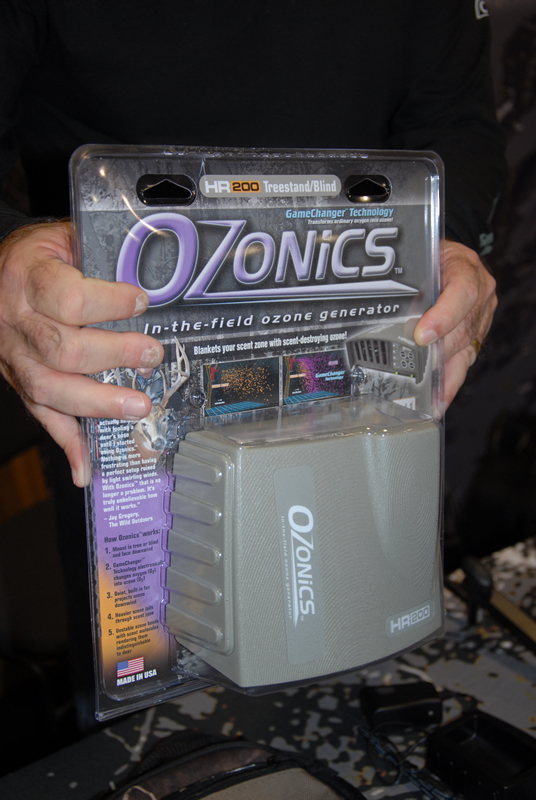 I also use an Ozonics (www.ozonicshunting.com) odor-killing device that changes oxygen molecules into ozone molecules. Last year I had done everything you were supposed to do to kill a mature buck. My set-up was perfect, and I just knew I would take that buck that day. However, instead of coming in from the upwind side of my treestand, the buck moved in directly downwind. But I was able to turn in my stand, get the shot and take the deer. A good football team plans to have an aggressive offense, score a lot of goals and kick field goals. However, a good football team also has a good defense to try and prevent the other team from scoring any goals. I always assume that regardless of what I know, and what preparations I’ve made, the deer will come in downwind of me. That’s why I’m a fanatic about scent control and using Ozonics. The buck that came in downwind of me I had named Sky 8. He had a rack more than 22-inches tall but only 14-inches wide. 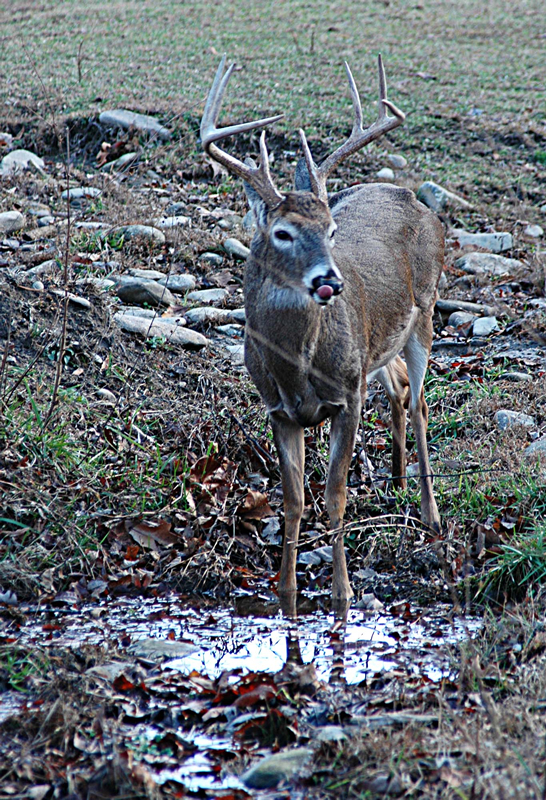 I’d only seen this buck four times from 2008 until 2014, but I saw him three times in 2014 when I took him. 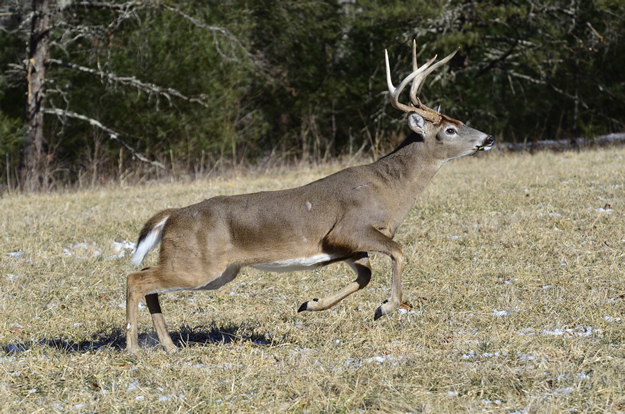 The buck was coming to a Mossy Oak BioLogic food plot at the end of the rut – probably hoping to find one of the last does to come into estrus. I had 24 minutes of video footage of this buck, before I finally took him. I passed him up one time when he was at 60 yards because the day was so windy. Although I’m confident I can place an arrow in the kill zone at 80 yards with my Mathews bow, when you factor in a crosswind, I felt my effective range would go way down as you might expect. On the day I took Sky 8, I had several does come under my stand from downwind. The next time I hunted him was a calm day with no wind, and the buck came in from downwind, walking along the edge of a power line. I took the shot when the buck was at 54 yards. He only moved a few yards into the woods before he went down. Because I’d been practicing at 80 yards all year long, I knew I could make that 54-yard shot. I didn’t hesitate. 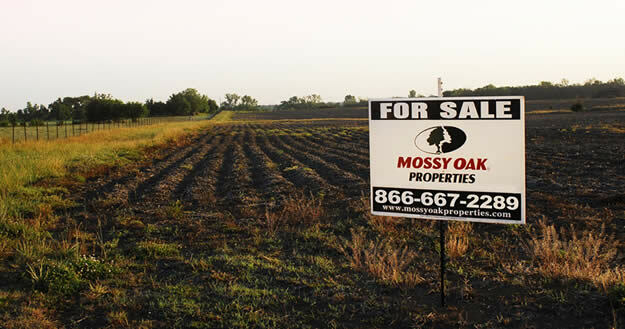 Although I have my own property to hunt in Missouri, I spend a great deal of time each season hunting in other states. Because I have to produce footage for TV shows, I have to make sure that when I travel to another state that I’ll have an older, mature buck to hunt. 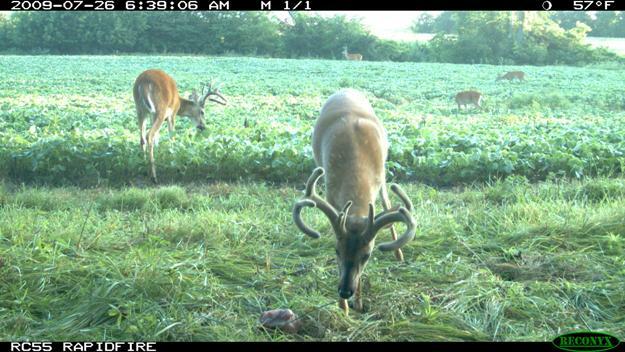 Too, I must have that buck patterned before I reach where I’m going to hunt and have several tree stands already set-up. Then I can take that buck within 5-7 days. 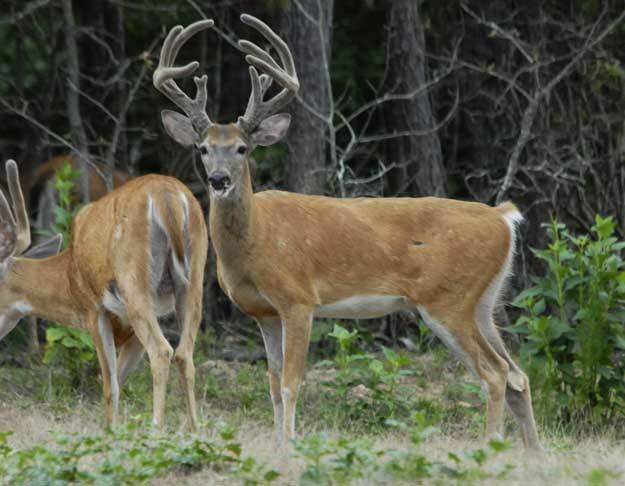 The people I with hunt are friends, and they’re willing to help me locate and harvest an older-age-class buck for the TV show. To help insure success, I go to the properties in other states I plan to hunt at least a month or more before my week is set to hunt there. 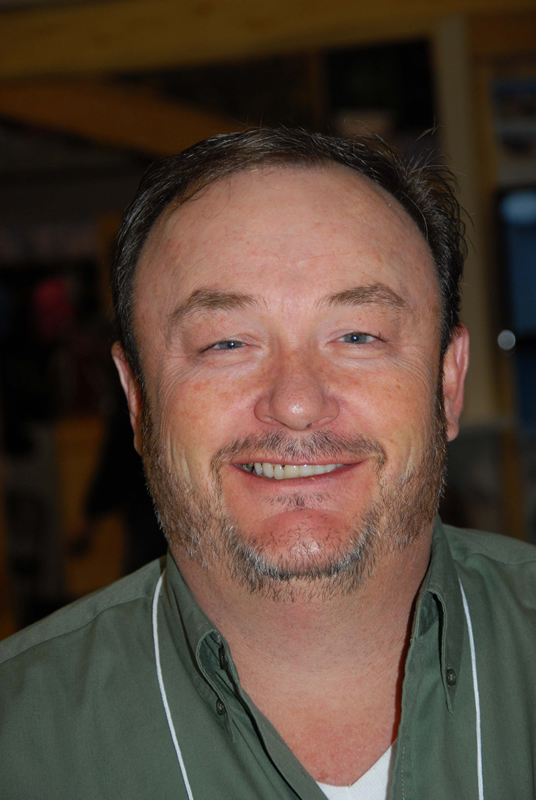 I’ll take three to six trail cameras to each location and set them up on feeding, bedding and watering sites and some of the trails leading to these three kinds of locations. My friend who owns the property where I’ll be hunting also will give me information on where he thinks this buck is moving. Now when I get to the property to hunt, I can spend 5 days scouting and know I’ll take that buck on one of the last 2 days, rather than spend one day scouting and hope I’ll harvest that buck on one of the 6 days I have left to hunt. When I get to the location I’m planning to hunt and set out my trail cameras before I hunt, I carry my SpyPoint GEOPAD with me and put the SD cards from each camera in the GEOPAD. Then I go to www.myspypoint.com website on my GEOPAD to send my pictures to SpyPoint, to add to and build a tremendous database on all the bucks that have walked in front of my cameras. When I’m ready to hunt, I’ll start pulling those SD cards daily and compare the information to the information I’ve gotten from my SD cards before the time of the hunt. I can make better decisions then on when and where to hunt.